"In us all," Kafka said, "it still lives - the dark corners, the secret alleys, the shuttered windows, the squalid courtyards, (/) We walk through the broad streets of the newly built city. But inside we still tremble in the centuries old streets of our misery. Our hearts know nothing of the slum clearance around us." Secluded within the confines of a large steel factory, circled by endless fields of snow and hidden behind a dilapidated wall, stands a tiny Jewish cemetery. 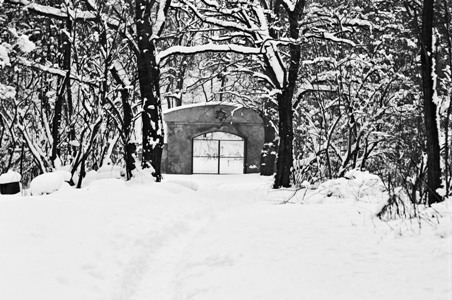 A narrow path, a trail through thick snow, leads to a rusted wrought-iron gate. It is shut; its padlock corroded, but nearby, in the wall, there is a hole, and a trail of fresh footprints continues there. The place is charming; irregular rows of crooked headstones covered in Hebrew inscriptions are entangled in wild ivy. This cemetery, no more than a handful of graves, is perhaps the last testimony of the Judaic community that thrived here in Częstochowa, as much as in the rest of Southern Poland, from as early as the 17th century. Cmentarz Żydowski w Częstochowie położony jest przy ulicy Złotej na terenie Huty Częstochowa w dzielnicy Zawodzie. Teren ten został przyłączony do miasta Częstochowa w połowie XIX wieku.